Best Fish and Chips Ever! 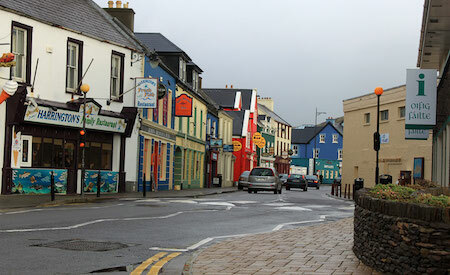 After Dublin, we set out to the very south-west tip of Ireland, a little tiny fishing village called Dingle. I’d never heard of it before, but a few friends who had done some travelling in the past recommended it. We stumbled upon a livingsocial coupon for a fish and chips pub in Dingle, so we figured that the stars were aligning and we needed to visit this small Irish village. I love local restaurants having discounts, it keeps people from just going to the same big chains that they always do at home. And boy oh boy, was I not disappointed. One you walk around the pretty streets of Kauai, you will find for yourself that there are quite a few taco trucks and what they call taquerias. Every square mile distance has at least one taco spot. Here are the tried and tasted best of the lot. This taco spot isn’t too hard to find. Just look for the taco truck with the weirdest art painted on it (we are talking tacos with detailed eyes on them) and you have reached El Taco Feliz taco truck. They call it the Happy Taco. You may want to try the carnitas from this place. They are excellent and should not be missed. Copyright © 2019 A Fete For Food. All rights reserved.